In today’s environment of increased public scrutiny of police force applications, it is important to be transparent to the community in regards to the measures put in place to account for the safety of both the suspect and officer. While there will always be risks in, what the U.S. Supreme Court describes as the “tense, uncertain, and rapidly evolving” environment of a police force incident, we feel that Gracie Survival Tactics gives both officers and suspects the best chance of avoiding serious injury. In 2014, GST was medically and legally reviewed for Law Enforcement, earning high marks in both of those reviews. GST recently underwent an additional medical review, with each technique was rated on a scale of 1-5 (5 being the highest score). 18 out of the 23 techniques received the highest rating (5 out of a possible 5). The five remaining techniques received a rating of 4 out of 5. To register for an upcoming GST instructor course, CLICK HERE. 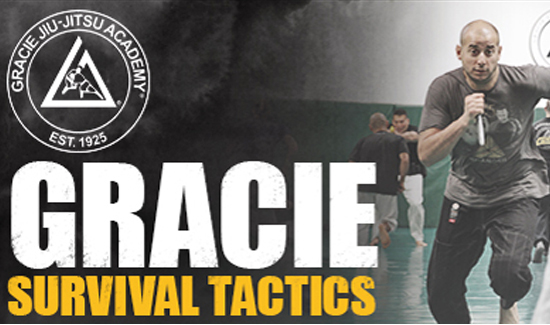 There are still a few slots left for the March 14-18 school at the Gracie Academy headquarters in Torrance, California! To lock in yours, CLICK HERE.